These past few weeks, I’ve been watching Suraya’s facebook feeds with great interest and excitement. Watching the videos of her dancers rehearsing again and again, and then seeing photos of them at the Asian Grand Prix and reading about their triumphs the morning after, made me feel quite nostalgic. You see, I was a young dancer once – and ballet was my very first love. In fact, Suraya was one of my first teachers who until today, I remember as being very strict and precise, and always knowing how to bring the best out of us dancers. Unfortunately, I did not have the privilege of being Suraya’s student for long as she became a mother soon after I started dancing. However, earlier this year, I got back in touch with her after more than 30 years (the power of Facebook!) and it didn’t surprise me to read about the accolades and awards that the Aurora School of Dance has been collecting over the years. As Suraya and I caught up on all the years since I was a Grade 1 student in her class, we talked about how much the ballet scene in PJ has changed, for the better. Back in the 1980s and ‘90s, we didn’t have dance competitions in Malaysia nor did we participate in competitions overseas, as her fortunate and talented young dancers get to do these days. 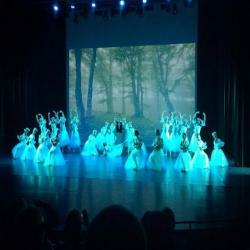 It is so important that dancers get lots of opportunities to perform and not only put into practice the technique they learn in class but also learn the importance of artistry. In our day, we did RAD and ISTD exams, had the opportunity to perform in our annual concerts and some of us might have learnt tap and modern too. 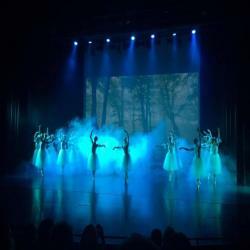 Although I learnt dance for most of my teenage years, the joys of dancing I experienced were mostly within the walls of the studios, with limited stage exposure. I can’t say I learnt any of the solo variations from the famous ballets, because the emphasis just wasn’t there then. But even then, those were wonderful times for me. I did dance classes at least 5 days a week and still remember how much I loved my ballet classes especially, and how I looked forward to every class. Then academic and career priorities took over, and ballet as a hobby fell to the wayside. For many years, I gave up ballet completely and almost forgot how much I loved it. 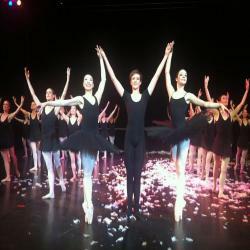 My ballet journey would have nearly ended there but over 4 years ago, I got what I consider a second chance. At the age of 40, I re-discovered ballet as an adult living in Sydney. I was convinced to try an adult ballet class “for fun” and was told that I would love the teacher, Julia. I was hesitant at first because I had experienced dance teachers who have very little expectations of adult dancers, just because we will never pursue a dance career. They miss the point that while our ambitions may be different as adult learners, we all still want to become the best that we can be at whatever we commit to. But this class with Julia was different – she pushed us, stretched us and demanded the very best from each one of us. She was constantly giving personal corrections and emphasising little details like footwork, positions of the arms and head. It was clear she didn’t believe that we should be limited from becoming the best we could be just because we were adult dancers. We could still be taken very seriously in our pursuit of a hobby. In that first class, I was hooked and in love with my first love again. Although I couldn’t find the right muscles I needed in that class, I felt like I had come home to something very familiar that day. Within a fortnight, I was totally committed. I wanted so much more and I got myself to 3, then 5, of Julia’s classes a week. The more I improved, the more addicted I became. And although ballet is extremely demanding on my body and very exacting in its nature, there’s an immense joy and release that I feel in class, a joy that also transcends into my life outside of class. For me, ballet is not just another form of exercise...it is my form of self-expression, and it nurtures my soul. Every class, as soon as the music starts, I am transported into a whole different world. Stresses from the real world of work and responsibilities are left at the studio door. Even my husband says that I have become calmer and more balanced through my reconnection with ballet.